Tributes continue to flood in for veteran Carrickfergus councillor Jim Brown who died earlier this week. Mr Brown, who was 68, served almost four decades in local government, first on the legacy Carrickfergus Borough Council and latterly Mid and East Antrim Borough Council. 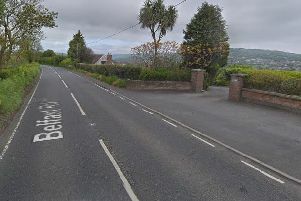 The funeral of the independent representative and former UUP man will take place from his Coronation Road home on Friday (August 10) at 12.00 noon and afterwards to Victoria Cemetery. Colleagues from across the political spectrum have spoken of the loss to local government on Mr Brown’s passing. Mr Brown was also a previous chair of the Northern Ireland Housing Council, an advisory and consultative body on matters affecting housing referred to it by the Department for the Social Development or the Northern Ireland Housing Executive. Many people have taken to social media to express their sympathy too with “he was a lovely man” a recurring comment.